It’s a new site after new site this year. This time, Meathop Fell CC site. A really good site, but just a bit too far from anywhere for us. We like sites with nice pubs within walking distance, something this site does not have, but more about this later. Lots of traffic on the M6 today made the journey take longer than it should have, but we still arrived early and had plenty of pitches to choose from. The site seems to be split in two, with families one side and couples the other. We chose the couples area, which seemed to be much quieter. After setting everything up we tried to have a look around neighbouring Woodlands static caravan park and got chased by their not very friendly wardens. To be fair, we did ignore several private property signs! We continued to nearby Lindale, which took a lot longer than it should have because we missed a public footpath shortcut. Two pubs in Lindale, one was shut and the other just didn’t look very nice, so it was a long walk in warm weather for nothing. Instead we drove to Cartmel, which is a really nice village with a couple of nice pubs. We had dinner in the Kings Arms. Got back to the caravan about 8pm and stayed in for the rest of the night. 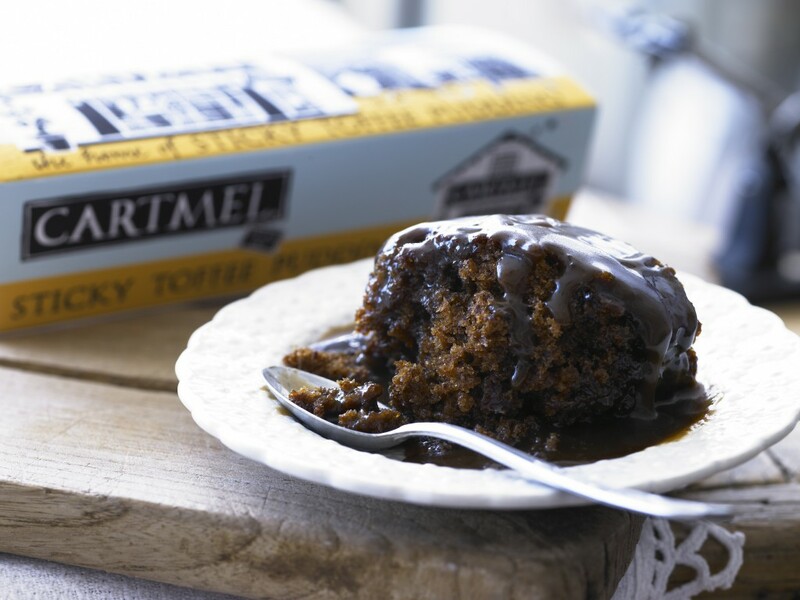 You can’t go to Cartmel and not buy a sticky toffee pudding! It was raining when we woke but it soon brightened up, so we drove to Grange-over-sands for a walk up Hampsfell. It was supposed to be a short walk but when we got to the top we could see Cartmel in the distance and thought we would go there again. No rain, but it was a pretty windy day! Had a look around Grange-over-sands in the afternoon before returning to the caravan for another night in. Heavy rain when we got up. We got a bit wet putting everything away, and it rained most of the way home, so not a particularly pleasant journey. A break of a few weeks as we go on holiday to Fuerteventura, we’ll be back in the caravan mid-May.